I probably should've noticed this sooner, but I didn't. This was a Revlon ceramic curling iron that I used daily and loved :( Please take this as a warning- take a look at the cord on your heat styling tool next time you use it- make sure it isn't starting to do something like this... because if that spark hit me in the eye- which it was very close to- I could be having some serious problems right now. Just a heads up! New topic: Fun Viewer Questions! I recently got a message in my YouTube inbox from TNaraysingh. She had some questions for me that she thought I might be able to address in a video. I really liked them and wanted to get to them quickly- and since I'm pretty much set in terms of videos for awhile- I thought I'd answer them in a blog! yipee! So thanks to her for these great questions! I watched videos on YouTube for quite some time before I started making them myself. I watched people like PurseBuzz & Enkore, as well as others who seemed pretty new to the makeup scene and just enjoyed putting up fun & entertaining beauty videos! After awhile I started to think- I have a big makeup collection, I love doing makeup, and I basically spent 4 years of college learning how to be a decent communicator- so why not make some videos and see if anyone's interested in watching them? Plus I hadn't seen a lot in terms of makeup on inexpensive brands, so I thought I might be able to offer something new in that way. I'm glad I did! What are your top 5 places to shop for clothes? If you had to pick only ONE makeup product, what would it be? What's the best thing about making videos? Knowing that I'm actually helping people. I love hearing from those who say they've tried something I've recommended and ended up loving it. Or they did a look I showed in a tutorial and their boyfriend/husband told them how great they looked and they hadn't heard that in a long time. Some of this stuff honestly brings tears to my eyes. Simply hearing from people that say what I do inspires them- or that they brighten up their day after a long time spent at work... it really makes all these videos seem so worthwhile :) I really love it. 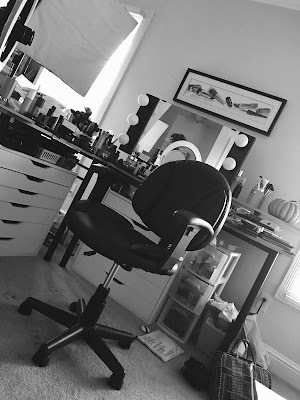 Are you recognized more as a YouTube makeup guru or a news anchor? Tutorials on new Coastal Scents Palettes! Thanks for stopping by the blog everyone! Have a great day! oh yes...I am waiting passionately for the tutorial using the 78 new costal scent palette...not so many youtube guru are doing that so far, so I am so excited!!!!!! thank youuu!! Oh my! So happy your ok! If I saw you I would definitely come say hi! I would be so excited. I love all of your videos so keep making more. And thanks for the tip about the curling iron. Mine is getting old so I'm gonna go check it right now. Did you already get a replacement curling iron. If not I definitely recommend getting a hot tools curling iron. 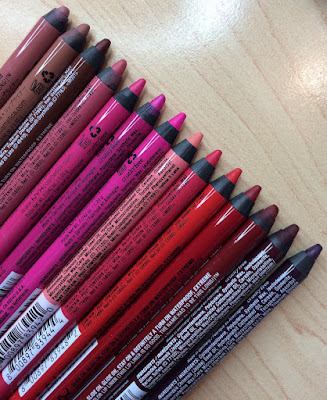 Mine has lasted me many years, they come in many sizes, many people swear by them, and they are reasonably priced for the quality and length of time they last (Around $30 from beautychoice.com or Ulta). Just a suggestion but I would love to find out what you end up buying and how you like it! Oh geez, glad you're ok after the curling iron incident. I just watched that video and it scared me, I can only imagine how freaky that was for you. Love those viewer questions, it's always nice to get to "know" people a little more. I cannot wait for your velcro roller tutorial! Your Bumpit video is the way I discovered your awesome youtube and blog sites. Thank you so much for posting these! Your hair is so similar to mine... just today I dyed it the same color as it was just for the added conditioner. Thank you so much for all the tips!